I rarely post or post about theatre reviews here – they have little validity if you live in a city 8000km away from where they are being performed. However, today I am going to make an exception and am sharing a review for a new play that has just opened in London. 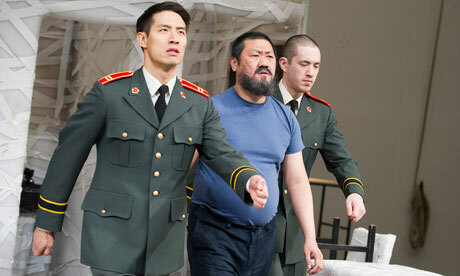 The Arrest of Ai Weiwei by Howard Benton opened on Saturday evening and was streamed live across the globe. I think most people are familiar with Ai Weiwei, Chinese contemporary artist and actavist and his on going conflict with Beijing. However, you probably won’t be familiar with Brenton who has been writing stridently political plays for many years. Howard Brenton’s most recent play, 55 Days, dealt with the imprisonment, trial and execution of Charles I. His new one could easily be called 81 Days since it covers the detention, interrogation and eventual release of the conceptual artist, Ai Weiwei, by the Chinese government in 2011. Inevitably the evening has a palpable design on us but it has enough variety to ensure it is more than a piece of humanist propaganda. 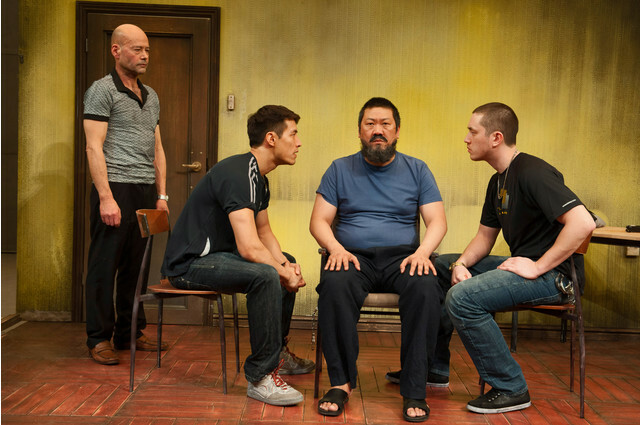 In a blog post recently entitled Every day in China, we put the state on trial Ai Weiwei spoke about how artists have always asked difficult questions about the human condition which resonates wonderfully with the notion of Brenton’s play. The other side of theatre. 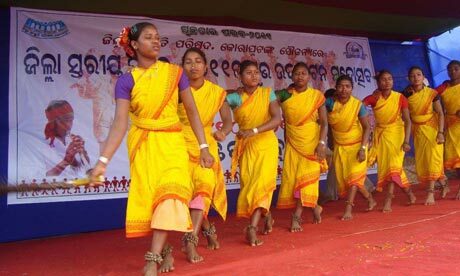 Sibaguda is a remote tribal village in southern Odisha state, in the east of India. There are just 49 households, and cows are frequently herded through the main square. The electricity supply has been disrupted by a broken transformer and the only road has fallen into disrepair. What Sibaguda does have, in common with many tribal villages, is a central meeting place where theatre is performed. Now, thanks to one particular performance, a school is being built here for the first time. Amaresh Satapathy works for the Integrated Agency for Education, Environment and Technology (IAEET) in the nearby town of Koraput. Although his organisation works on everything from land rights to public health, Satapathy describes himself as a theatre activist. He first visited Sibaguda in 2007 as the leader of a Unicef-backed group performing street theatre to raise awareness of the importance of hand-washing. 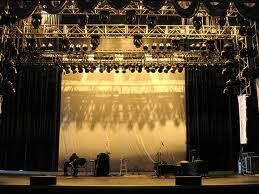 Disillusioned, he began to reconsider the role that theatre could play. His group of actors from the main town moving from village to village may have brought entertainment, but they were doing little to empower villagers and were neglecting the area’s own rich tradition of folk theatre. Satapathy no longer travels with a theatre group but arrives in the village with a small team who explain the concept and purpose of CBT over the course of a week. They encourage the villagers to draw on their own storytelling and theatrical traditions. “We don’t train them to act,” he says. “We ask them: ‘How do you sing, act or beat your drums? '” The team’s role is to spark the initial idea and then to help the villagers draw a powerful audience. The play can help villagers put their problems before local officials. Satapathy has found that inviting officials to villages has had far more success than traditional forms of petitioning local government. Of the 427 villages in IAEET’s catchment area, 50 have seen tangible results from CBT in terms of schools being built or better access to clean drinking water. There are drawbacks to letting the community define their development priorities. For example, the message about the importance of hand-washing is one that is unlikely to come from the villagers themselves. However, as a way of engaging and empowering communities, Satapathy believes there is much to be learned from his experience of placing power into the hands of the villagers. Secondly, an extract from Peter Brook’s new book, The Quality of Mercy: Reflections on Shakespeare, published in the The Guardian. More than any other ‘western’ theatre practitioner, Brook understands the connections between theatre traditions (ancient and modern) across the world – in all cultures – so I am intrigued that he has chosen to return to Shakespeare. Mind you, at the age of 88, why shouldn’t he be reflecting on his achievements? 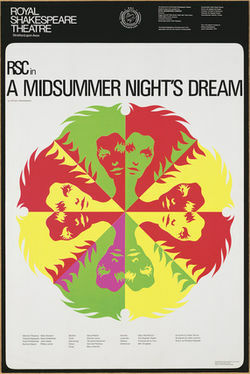 His 1970 RSC production of Shakespeare’s play featured circus trapezes, stilts and plate-spinning – and changed theatre history for good. 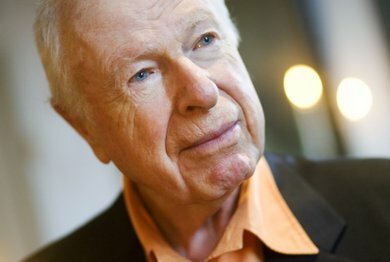 In an extract from his new book, Peter Brook explains how this most seductive of Dreams came alive. So – I’ll tell you a story. When I was 18 or 19, my one ambition was to make a film. By chance, I met the most eminent producer of the day, Sir Alexander Korda, a Hungarian of humble origins who had emigrated to make his fortune first in France, then in Britain, where he rose to power, was ennobled by the King and married a beautiful star, Merle Oberon, who for my father was “the perfect woman”. I had just been on a trip to Seville during Holy Week, was thrilled by the multitude of mysterious impressions and imagined a story set in this extraordinary background. It took many years to free his phrase from its period and context and to hear the deep truth it contained. This brings me directly to A Midsummer Night’s Dream. 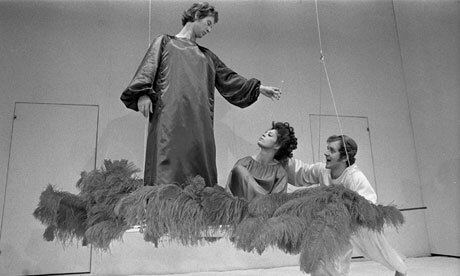 It had never occurred to me to think of directing the Dream. I had seen many charming productions with pretty scenery and enthusiastic girls pretending to be fairies. Yet, when I was invited to do the play in Stratford, I discovered to my surprise that my answer was “Yes”. Somewhere in me there was an intuition that I had ignored. Then, the first visit to Europe of the Peking Circus revealed that in the lightness and speed of anonymous bodies performing astonishing acrobatics without exhibitionism, it was pure spirit that appeared. This was a pointer to go beyond illustration to evocation, and I began to imagine a co-production with the Chinese. A year later, in New York, it was a ballet of Jerome Robbins that opened another door. A small group of dancers around a piano brought into fresh and magical life the same Chopin nocturnes that had always been inseparable from the trappings of tutus, painted trees and moonlight. In timeless clothes, they just danced. These pointers encouraged a burning hunch that, somewhere, an unexpected form was waiting to be discovered. I talked this over with Trevor Nunn, director of the Royal Shakespeare Theatre, who said for this season he had created a young company who could in no time learn anything that was needed. It seemed too good to be true, especially as the Chinese Circus acrobats started their training at the age of five. So we began with only the conviction that if we worked long, hard and joyfully on all the aspects of the play, a form would gradually appear. We started preparing the ground to give this form a chance. Within each day we improvised the characters and the story, practised acrobatics and then passing from the body to the mind, discussed and analysed the text line by line, with no idea of where this was leading us. There was no chaos, only a firm guide, the sense of an unknown form calling us to continue. Gradually, the jigsaw began to fit, yet the very first preview was a disaster. My old friend Peter Hall took me by the arm and expressed his regret at the bad flop that was on its way. But at this point in the process a shock was needed. What to do? Peter Hall’s close collaborator John Barton said, “The problem is at the start. The way you begin doesn’t prepare us for the unexpected approach that follows. As it is now, we just can’t get into it.” Thanks to John, we found a way of starting the play literally with a bang. 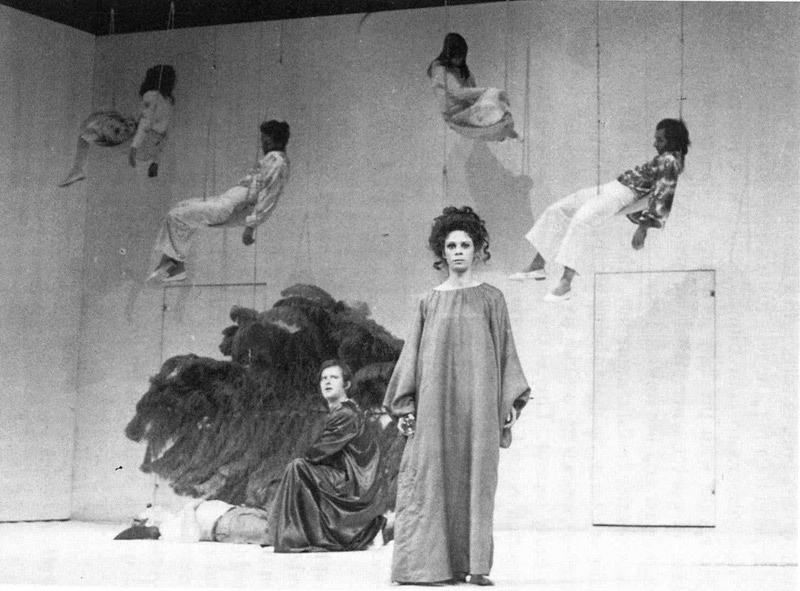 With an explosion of percussion from the composer Richard Peaslee, the whole cast literally burst onto the stage, climbed up the ladders and swarmed across the top level of the set with such joy and energy that they swept the audience along with them. After this, they could do no wrong. The presence of the audience in a week of previews and a high-pressured re-examination of every detail allowed at last the latent form to appear. Then, like the well-cooked meal, there was nothing to fiddle with, just to taste and enjoy. Often, after an opening, one has to go on working day after day, never satisfied, but this time we could recognise it. Miraculously it had fallen into place. When the production had played across the world, there were many proposals to film it. I always refused because the essence of designer Sally Jacobs’s imagery was a white box. The invisible, the forest, even the darkness of night were evoked by the imagination in the nothingness that had no statement to make and needed no illustration. Unfortunately, the cinema of the day depended entirely on celluloid, and after the first screenings more and more scratches would appear. In any event, photography is essentially naturalistic and a film based only on whiteness, least of all a soiled and blotchy one, was unthinkable. Of course, a play can be filmed, but not literally. I’ve attempted this many times, and always a new form had to be found to correspond with a new medium. It can never be a literal recording of what the audience in the theatre once saw. Here I felt that nothing could reflect the zest and invention of the whole group. This truly was a live event. Then the production was invited to Japan. Everyone was eager to go. As the costs were so high, could I agree to it being tele-recorded in performance so that it could be shown all over Japan and so contribute to their expenses? If we all agreed, they promised the recording would be destroyed in the presence of the British Consul. I discussed this with the cast, who had all been with me in refusing filming. This time it seemed impossible for us to say “No”. Only later did I realise that this was a valuable reminder to stay with my own convictions. The life of a play begins and ends in the moment of performance. This is where author, actors and directors express all they have to say. If the event has a future, this can only lie in the memories of those who were present and who retained a trace in their hearts. This is the only place for our Dream. No form nor interpretation is for ever. A form has to become fixed for a short time, then it has to go. As the world changes, there will and must be new and totally unpredictable Dreams. Today, more than ever, I am left with a respect for the formless hunch which was our guide, and it has left me with a profound suspicion of the now much-used word “concept”. Of course, even a cook has a concept, but it becomes real during the cooking, and a meal is not made to last. Unfortunately, in the visual arts, “concept” now replaces all the qualities of hard-earned skills of execution and development. In their place, ideas are developed as ideas, as theoretical statements that lead to equally intellectual statements and discussions in their place. The loss is not in words but in the draining away of what only comes from direct experience, which can challenge the mind and feeling by the quality it brings. A used carpet placed over a mass of old, used shoes won international prizes. It was considered enough to express the tragedy of emigrations, of displaced people and their long march. This made an admirable piece of political correctness, but its impact was negligible when compared with Goya, Picasso or many shockingly intense photographs. A single lightbulb going on and off won an important award because it expressed all of life and death. In fact, it only expressed the “idea” of life and death. These have been prize-winning concepts, but would not Alexander Korda rightly have said, “Come back when you have put your idea into a powerful form”? A form exists on every visible and invisible level. Through the quality of its development, then in the way its meaning is transformed. 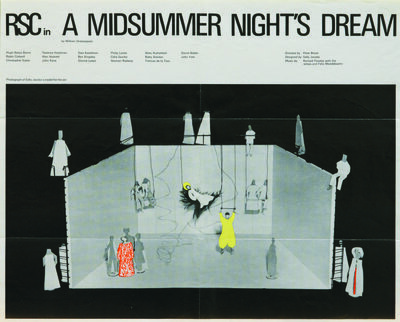 It is an understandable difficulty for actors, directors and designers facing a play of Shakespeare not to ask, “What should we do with it?” So much has been done already and so often filmed, recorded or described that it is hard not to begin by searching for something striking and new. A young director’s future may depend on the impact he or she makes. It is hard to have to play characters like Rosencrantz and Guildenstern without looking desperately for an idea. This is the trap opening under the feet of every director. 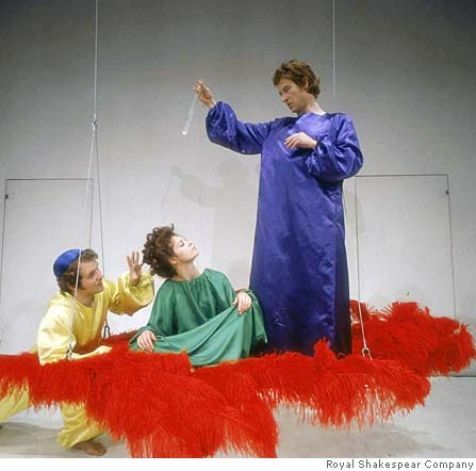 Any scene in Shakespeare can be vulgarised almost out of recognition with the wish to have a modern concept. This easily leads to spicing the words by having a drunk say them into a mobile phone or else peppering the text with obscene expletives. This is no exaggeration. I saw the videotape of an actor trying vainly to find a new way of saying “To be or not to be”. As a last resort, one evening he set out to see whether alcohol might not be the answer. So he set up a camera, put a bottle of whisky on a table beside him, also a clock, and at planned intervals during the night recorded himself doing the soliloquy again and again as he gradually poured the contents of the bottle down his throat. The result needs no comment. Fortunately, there is another way. Always, an ever-finer form is waiting to be found through patient and sensitive trial and error. Directors are asked, “What is your concept?” The critics write about “a new concept” as though this label could cover the process. A concept is the result and comes at the end. Every form is possible if it is discovered by probing deeper and deeper into the story, into the words and into the human beings that we call the characters. If the concept is imposed in advance by a dominating mind, it closes all the doors. We can all have an idea, but what can give the dish its substance and its taste? I have a backlog of interesting stuff to share today, so I’m going to give you an eclectic mix to be going on with. Firstly this, which leads to a new ‘category’ on my blog (technical theatre), that caught my eye. I think it was because, for the first the time in my teaching career, one of my senior students, Alex, has gained a place on a very prestigious technical theatre course and we are delighted and excited for her. We live in a Green world and I had never considered this. An article from The Stage, written by Matthew Hemley, entitled Designers fight to save traditional theatre lighting. I don’t know anyone who doesn’t at least attempt to live an environmentally sustainable lifestyle, but this is an interesting one……. Olivier award-winning lighting designers Paule Constable and Neil Austin are spearheading a global campaign aimed at protecting the future of the traditional tungsten light bulb in theatre productions. The campaign is lobbying major manufacturers to continue production of tungsten lamps, following concerns that legislation banning retailers from selling incandescent light bulbs to domestic users has resulted in manufacturers producing fewer of them. The law was introduced in 2009, but has been phased in gradually over the last three years. Lighting designers claim that traditional bulbs are vital for theatre productions because of the natural and warm light they provide, and the fact they can be faded up and down. 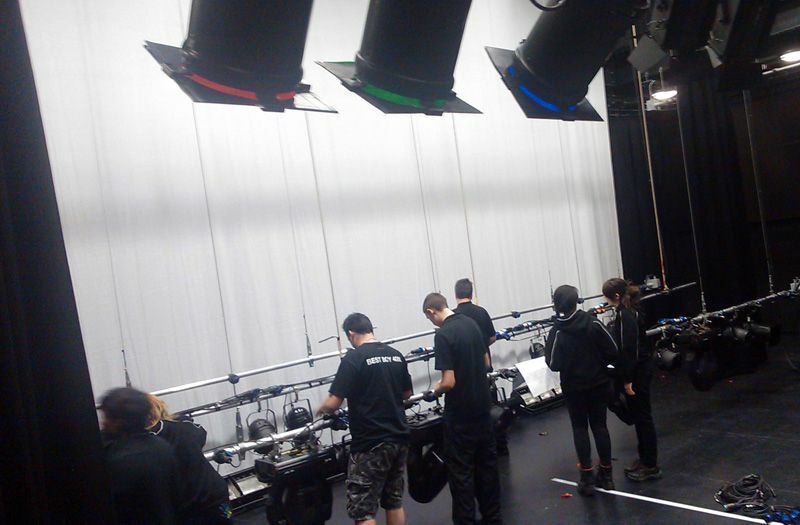 They argue that they are needed alongside other light sources – such as LED lamps – to ensure lighting can be tailored according to a production’s needs. The campaign’s Facebook page states that manufacturers are “starting to push towards other sources and are phasing out tungsten lamps by stealth”. Lighting designer Michael Hulls, who initiated the campaign, said there was particular concern around some lamps that are considered domestic but which “are very widely used in live performances and theatrical luminaires”. He said that legislation around these products was unclear. “A special-purpose exemption applies to theatrical tungsten lamps but we have yet to ascertain exactly which are in and which are out, especially if they cross the line into domestic use,” said Hulls. Constable, whose credits include War Horse, stressed that the campaign is not anti-LED lighting. “The campaign is not saying we should not be responsible users. But it says, ‘Please don’t assume we [will] continue to do what we do with resources being taken away from us,” she added. Tickell added that until “an aesthetic equivalent to tungsten fixtures” exists, manufacturers should work with creative practitioners and designers “to make sure new products are fit for purpose”, and claimed that legislation should allow for a “phased transition”. The campaigners have already had assurance from Osram, one of the biggest manufacturers of tungsten bulbs, that it will continue making the lamps. “We appreciate the industry’s passion for this trusted lighting solution, and look forward to continuing to illuminate today and tomorrow’s entertainment stars on countless stages and studios with our Osram tungsten lamps,” it said. Shame about the last paragraph, though!